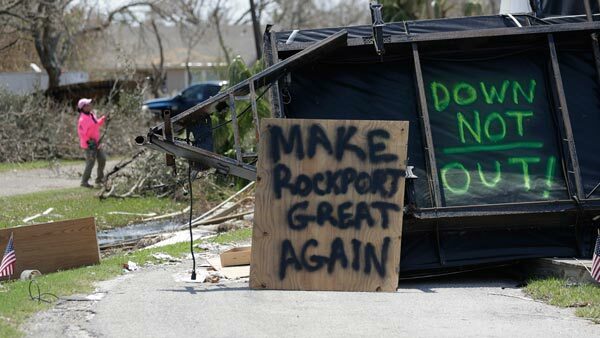 BELMAR, N.J. -- A New Jersey shore town has raised more than $50,000 for a Texas community that received catastrophic damage during Hurricane Harvey. Belmar suspended beach access and parking fees on Labor Day and instead asked beachgoers to donate money for the coastal Texas town of Rockport, which is similar in size to Belmar. Collection boxes were set up at beach access points. Hurricane Irma strengthens: ABC's Brad Mielke reports during Action News at 12:30 p.m. on September 5, 2017. Belmar Mayor Matt Doherty has said there are parallels to the damage sustained by Belmar during Superstorm Sandy and what Rockport has experienced. He said $56,000 was raised through the collection, and another $6,000 in "committed donations" will be collected later this week. Doherty plans to personally deliver the collected donations to Rockport's mayor on Friday, traveling there on his own expense.